Adam Lind singled in the game winning run in the 11th inning last night, leading the Milwaukee Brewers to a 8-7 win and four-game sweep of the Philadelphia Phillies at Citizens Bank Park. The sweep if the first of the season for the Brewers, who have now won three straight series. They’ve won five in a row for the first time since last August. The Brewers are 8-2 in their last 10 games. 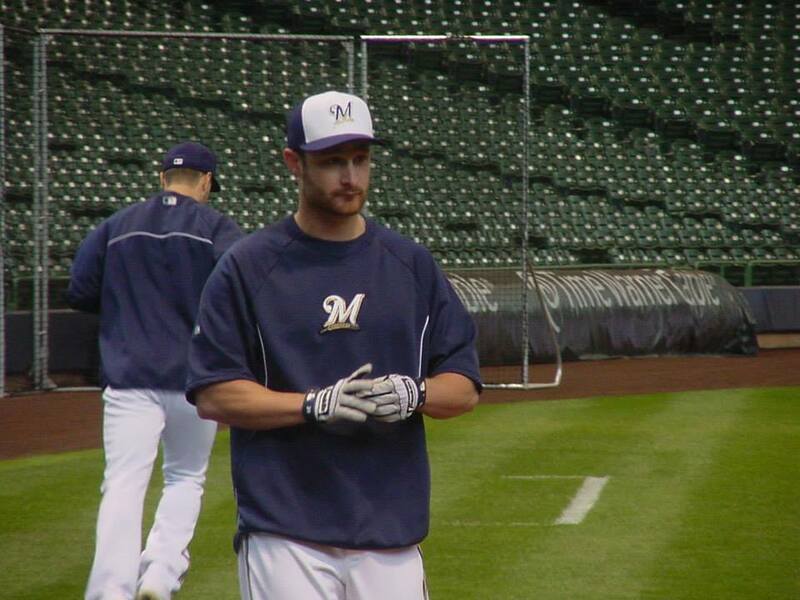 Jonathan Lucroy had three hits to pace the Brewers 16-hit attack. The Brewers scored 33-runs and collected 59-hits during the four game series. The Brewers started the series in close proximity with the Phillies, who own the worst record in the Major Leagues. Now there’s some separation as the Brewers have moved six games in front of the Phillies. The Brewers blew a 7-4 lead when the Phillies scored three times off of Brewers relievers Jonathan Broxton and Will Smith. The Brewers head to Cincinnati to open a weekend series against the Reds. Milwaukee and Pittsburgh waited through a pair of rain delays and eventually, the Brewers pulled out a 2-0 win at PNC Park in Pittsburgh in the series opener on Monday night. The two teams played much of the game through rain and sat through a pair of delays that totaled 2 hours and 13 minutes. 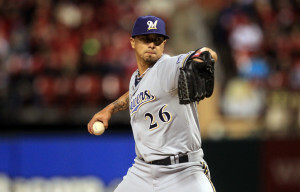 Three Milwaukee pitchers combined to allow four home runs and the Brewers dropped their sixth in-a-row, 7-5 to the Arizona Diamondbacks in their series opener at Miller Park on Friday night. Starter Jimmy Nelson, who wasn’t involved in the decision, allowed a pair of home runs. Relievers Jonathan Broxton and Corey Knebel allowed one each as the Brewers have now lost eight of their last nine. Brewer pitchers have allowed 64 home runs through 49 games this season, second-most in the major leagues. Only San Diego is worse, allowing 66 long balls entering Friday. With a chance to secure their first series sweep of the season, the Milwaukee Brewers fought to stay with the Tigers before the bullpen faltered in a 5-2 loss Wednesday night at Comerica Park. Tied at two in the eighth, Jonathan Broxton entered the game and promptly retired the first two batters he faced. Then he allowed two singles and a walk to load the bases, which were ultimately cleared on a Nick Castellanos triple that skipped past right fielder Gerardo Parra. 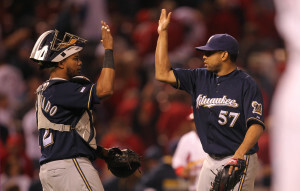 The Milwaukee Brewers have signed free-agent relief pitcher Francisco Rodriguez to a two-year contract. 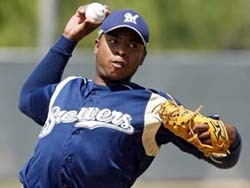 It’s Rodriguez’s fourth stint with the Brewers. 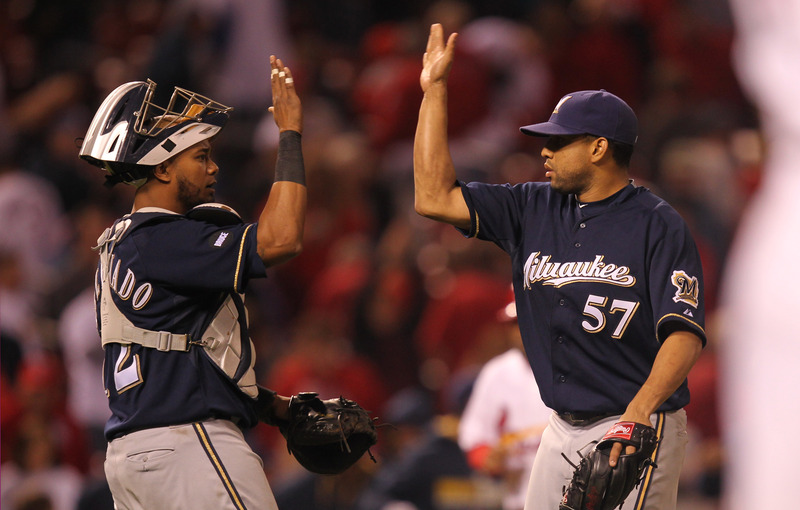 Rodriguez saved 44 games for the Brewers last season, replacing Jim Henderson as the team’s closer the day before the season opener. He finished 5-5 with a 3.04 ERA. It’s not known what role Rodriguez will serve with Jonathan Broxton on the roster as well. The two-year deal includes a team option for a third-year. The Milwaukee Journal Sentinel reports the deal will pay Rodriguez $3 million the first year and $6 million in year number two. 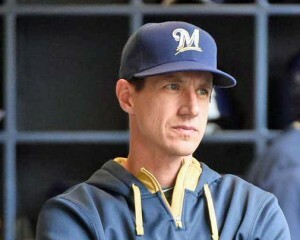 The Milwaukee Brewers still shake their heads when they look back at last years collapse. A 9-22 record to wrap up the season, dropped the Brewers out of first place and eventually out of playoff contention. They’ve had several months during the offseason to think about what happened. Now it’s time to forget and move on. Pitchers and catchers are scheduled to report to spring training in Arizona today. They’ll undergo physical’s and testing tomorrow and begin their first official workouts on Sunday. The full squad must report by Wednesday. For the second straight night, the Milwaukee Brewers blew a late 2-0 lead and lost a game they appeared to have in hand. Last night, the Brewers fell to the Pittsburgh Pirates 4-2 to fall 4 1/2 games behind Pittsburgh in the wild-card race with eight games left to play. When teams are looking to play their best baseball, down the stretch, the Brewers have dropped 17 of 23. Yovani Gallardo worked seven shutout innings for the Brewers, striking out eleven a season high 11. But Ron Roenicke went to the bullpen in the 8th and that’s when the roof caved in. Pittsburgh’s Starling Marte beat the covering Jonathan Broxton to the bag at first for a close play and an infield hit. After Andrew McCutchen struck out, Neil Walker lined a single to left. Russell Martin then sent a Broxton fast ball into the seats in right center and just like that, the Pirates were up 3-2. The Pirates added another run on an RBI single by Ike Davis off of Jeremy Jeffress to complete the scoring. 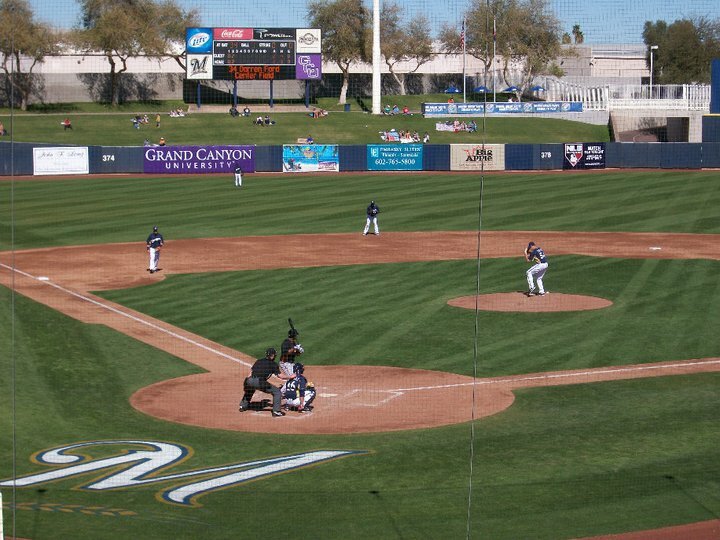 The Brewers scored their runs in separate innings. Jonathan Lucroy’s rbi single in the first. Rickie Weeks then hit a solo home run to lead off the fifth. The Brewers will need to sweep the rest of the series and then get plenty of help next week to have any chance in the Wild Card race. The prospects don’t look good. The Milwaukee Brewers have acquired right-handed reliever Jonathan Broxton from the Cincinnati Reds for two players to be named later. Broxton is eligible for the Brewers’ postseason roster and will join the team in Chicago tomorrow. The 30-year-old Broxton is 4-2 with a 1.86 ERA and 7 saves in 51 appearances this season. Opponents are batting just .190 off of him this season. This is the fourth stop for Broxton in his 10-year Major League career. He also pitched in Los Angeles (2005-11), Kansas City (2012) and Cincinnati (2012-14). His career numbers are: 35 wins, 20 losses with a 3.05 ERA and 118 saves in 531 appearances, all in relief.